He/ She would involve in responding to client queries by providing clarifications and responses in German Language. Training will be given to handle the job. Be able to work independently Proficient in MS Word and Excel. Internet Savvy (Social Media) Native Germans are more than welcome to apply! For selected candidate will be awarded with attractive salary plus attractive commission. 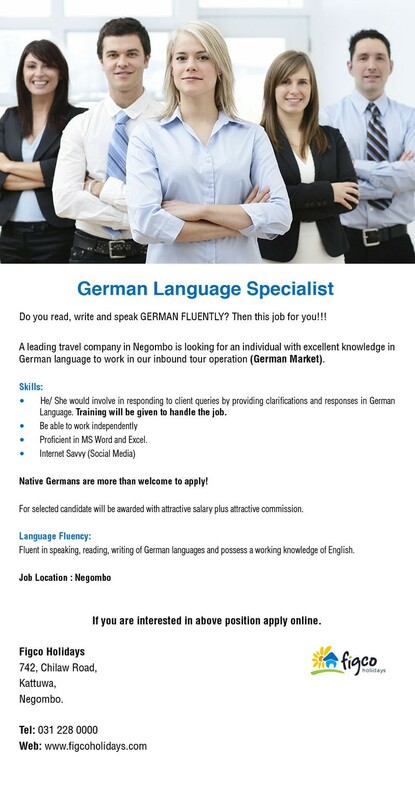 Language Fluency: Fluent in speaking, reading, writing of German languages and possess a working knowledge of English.